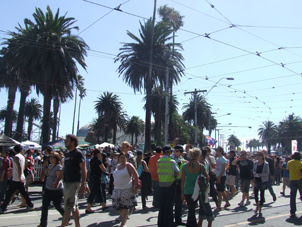 Me and Henry went to St Kilda Festival today. 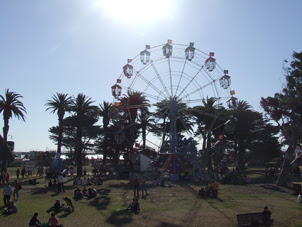 It happens once a year and is a FREE music festival on the Streets and Beach in St Kilda. It is always really crowded and full of suburban dickheads but this year I really wanted to go. I wish I had more money because there were lots of cool market stalls with pretty summer dresses (like I need more dresses) but I had like $7 with me so I couldnt get them. There are a few carni rides. 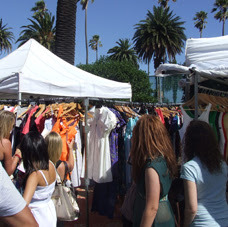 One of the market stalls with pretty dresses. 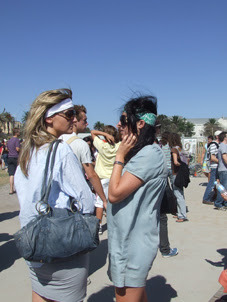 The next few pics are of the many Corey Kennedy type girls I saw today. So many high waisted shorts, headbands and gladiator sandals. Henry was like "Woah is the 70's back in fashion or what???" There were so many more fashionable people but it was kinda hard to snap them. 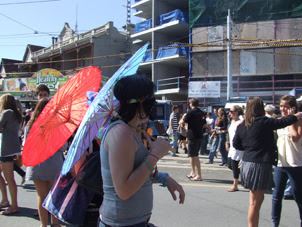 There were also some very cute yet sun smart parasols about. I wish I took mine, but I did cover myself in sunscreen...I got badly burnt when Sakiko was down here and I dont want a repeat of that. 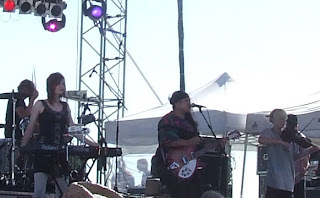 One of the reasons we went to the festival was to see Operator Please. They are a famous Australian band who are all under 20 (Some members are only 16, but were 14 when they started or something like that)...Anyway I like 1 of their songs (Song about Ping Pong), so I thought to see them for Free would be cool. 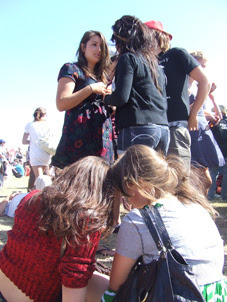 They were a very popular act with lots of fans, young and old, some with band t-shirts. I like what the lead singer wore, but I swear that the blonde chick wears the same dress everytime I've seen them lately (on tv). I think they might be famous overseas...Perez Hilton featured the film clip for the Ping Pong song on his blog so maybe they are. 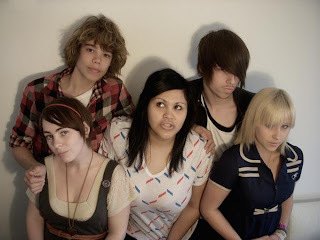 Here is a band photo I googled. The lead singer is wearing a t-shirt that Henry owns from Cotton On! 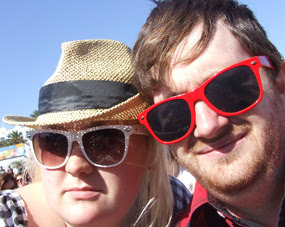 Henry kindly gave me his hat so I wouldnt get sunburnt while waiting for the band to play. 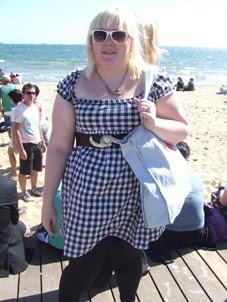 What I wore...kinda boring outfit really, but it was hot. 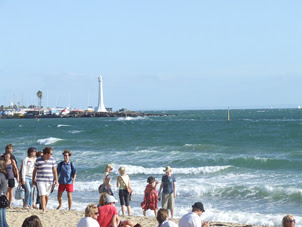 It made me happy to be home in Australia where its nice and sunny. In Tokyo right now it is snowing...and my old bedroom there is so cold we nick named it the freezer so I'm glad I'm not suffering through winter right now. Oh man, I wish I went now! lol. 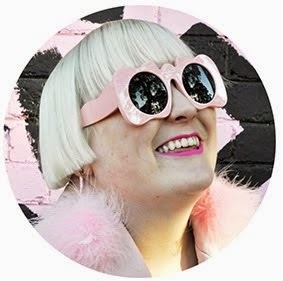 Finally wrote up a post for my blog, Yay! hopefully I'll be able to post often but it's hard to find the time. Thanks for the comment BTW, I changed the links colour, I thought the same thing but wasn't sure. Anyway have a great week.